I remember the day we viewed our house. It was love at first sight and I knew I had found my dream home. My son begs to differ. He has a completely different idea about what his dream home should look like. At four years old, he is not boxed in his thinking. Conventions don’t apply, and tradition just doesn’t cut the mustard. Imagination is the name of the game when you are that little. What better than Lego then, to help drive his architectural fancies and turn them into reality! Here it is, the house of J’s dreams, conceptualised and brought to life by my precocious four-year-old. And spurred on by the Lego Dream Home competition hosted by Ocean Finance. It is a futuristic, yet eco-friendly house. It has a garden with a tree and lots of pretty flowers. It is where the pet baby penguin resides. There is an ice-cream cart parked strategically for easy, all-day-long access. The chimney sits atop the upstairs window, and has all-seeing eyes to keep track of goings-on in the neighbourhood. Very Big Brother-like, if you ask me! There has to be somewhere to dock the spaceship. So we have a separate docking station that doubles up as a control room. The highlight of the house is a swinging gadget in the centre that is open to the elements. It harvests rain water that then feeds all the taps in the house. Didn't I say it was eco-friendly? We have a family of five housed in this quirky, sci-fi meets earth-mother kind of home. 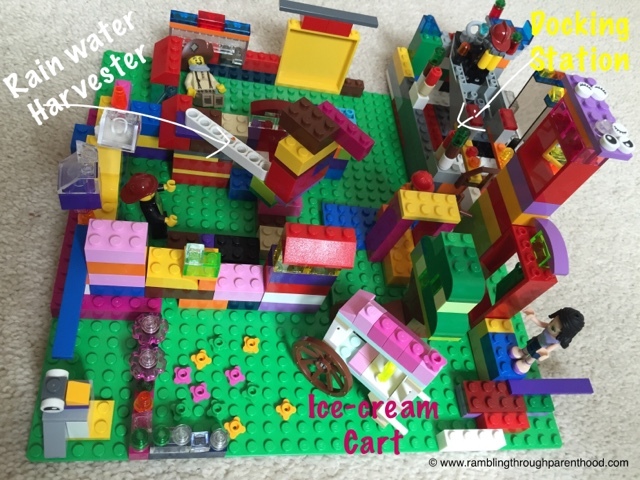 It amalgamates all that my son holds dear at the moment – family, ice-cream, penguins, space and adventure, not necessarily in that order. 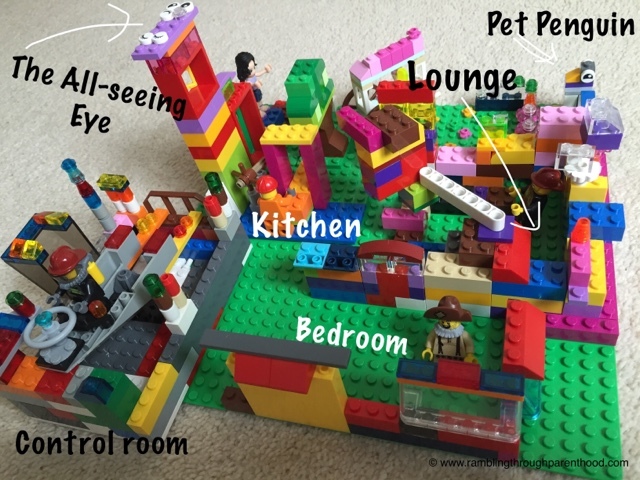 This has to be the winning Lego dream home, and not just because my son built it. This house is more than that. It is a child’s vision of what the future should be. Where we zoom through space but hold life’s simple pleasures close, on the green Earth we call home. Disclaimer: This is my entry for the Ocean Finance Dream Home blogger competition (#OceanDreamHome). We were sent a box of Lego to take part. All opinions are my own. What an AMAZING house! I love that it is eco-friendly and I particularly like the pet penguin. What a great imagination! Good luck in the competition. This is a wonderful home! I love all the colourful bricks you used. It would be a stunning place to live. This looks amazing, I would love to live in a house like this, I love the idea of the ice cream cart there all day!! What a fab house! Everyone needs a pet penguin! Good luck, hope you win! Love his dream home - and especially the separate docking station. What a sensible young man! Your son sounds like my z, penguins into everything!! :) that is one very cool house though. Best of luck! !